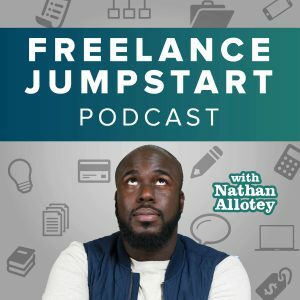 In the previous episode, we looked at what it takes to craft a portfolio that is useful in getting future clients to work with you. Building on that episode the last point I made is the fact that every portfolio should have a few case studies. A case study is where you dive deeper into the details of a project and discuss your design process but also show the results of working with you. Think about giving someone an inside look into what it’s like in working with you that’s the type of perspective you want someone to leave with them after they read your case study. When thinking about what projects you want to use for your case study have fun with this, choose projects that you enjoyed, and it was a positive experience for both you and the client. The writing of a case study begins in the midst of a project don’t wait until after the project is over to start writing a case study when you first start working with a client start writing down notes from the beginning. It will be harder to write a case study if you try to remember all the details of the project after it’s already done start taking notes along the way. Discuss the history of how you met the client and the circumstances which led to the work you are producing. Introduce who the client was what their company does and how an event took place which triggered the reason for them to contact you. You want the reader of the case study to read the background and have a general understanding of who your client is and what they do. Another essential to crafting a compelling case study is to highlight the problem your client had when they came to you for work. If you are a business owner, you are in the business of solving problems. In its simplest form think about a restaurant, for the potential customer the restaurant solves the problem of hunger. If perhaps you don’t feel like cooking they will save you time and provide food for the temporary hunger problem you have. Business is an exchange of value and when you present a solution that is adequate to solve a problem then you are seen as valuable. Speak to what the potential problem or problem was when your client came to you and why it proved difficult for their business. At this point, you’ve reached the middle of your case study. You should focus on the process you took in solving the problem for the client. Use this section to discuss your thought processes, possibilities and any difficulties or hurdles you had to overcome. Tell a story of the different ways you were thinking about solving the problem and why you made certain decisions. Give a glimpse into your creative process. The solution needs to be the exact opposite of the problem you outlined earlier in your case study. Right about how the solution answers every question the potential customer had and also why it is a comprehensive solution and was the best choice you could have made as a creative. The mistake I used to make in the past was I would talk about a solution, but I would stop there. As a creative, you can solve somebody’s problem but what’s missing from being effective in your case study writing is highlighting what the results were. What does it matter if I redesign a website in cells goes down? If a client comes to me for web design work, their goal is to attract more of the right type of customer. So not only do I as a web designer need to show that the result is better and more organized and it better for user experience I also need to capture some increase or added value for the business owner. Results are better when quantified. For example, I may say after the website redesign the client’s website visitors went from 20 a month to 200 a month, increasing traffic by 1000%. Using numbers to quantify the results is not only powerful, but people can see the numbers and immediately get the point. A subset of getting results is giving a client testimonial. It’s best if you ask for these while in the midst of the project or right when you deliver the solution. If you wait too long to get a testimonial, the client will begin to forget some of the things that you did along the way, so it’s best to ask as soon as the solution is delivered when they are thinking about your work. You don’t need a case study for every project you work on however choose the work that you are most proud of. Turn these into a case study so that new potential clients can see who you are how you work and the results you produce.